These playful Togetherfarm blocks made entirely from recycled plastic allow users to build their own raised garden beds in under five minutes. 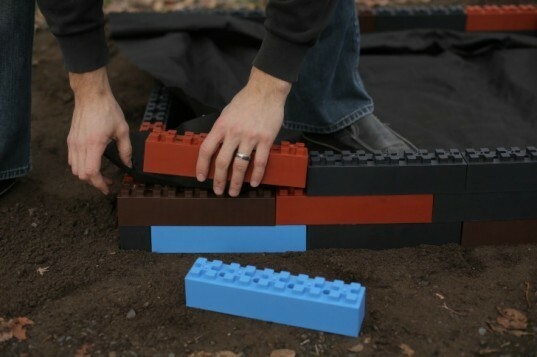 Inspired by LEGO building blocks, the recycled plastic bricks press together in a variety of inventive shapes, and they are so easy to use, even children can help construct their own backyard planters! Users can build their own custom garden by simply putting the modular blocks together in the shape of their choice, and they can do all this without tools or extra materials. Each of the blocks is made from lightweight and durable food-grade plastic (BPA- and Phthalate-Free) to ensure they won’t add any harmful chemicals to the soil. Which also means that they can be recycled themselves. These fantastic designs comes from the USA where all the blocks are manufactured locally. Take a look at the website for further information or for a look at the many different ways the blocks can become your own green garden. They are playful building Blocks that when pressed together become differently shaped garden beds. The idea is so easy that it takes less than 5 minutes to create a little raised bed. Even children can get involved to construct their own backyards! 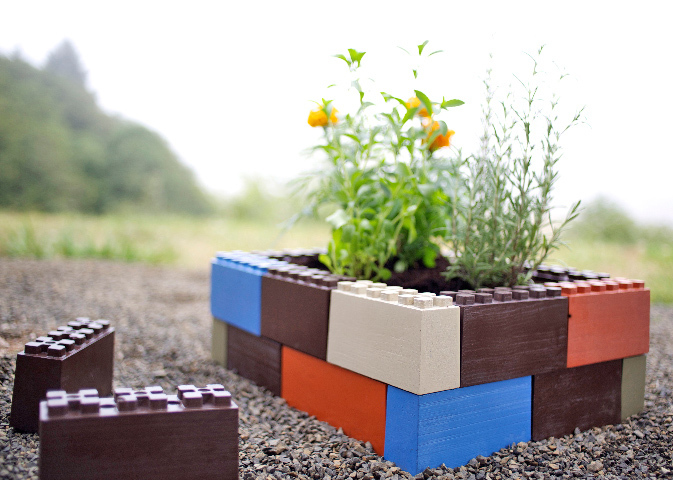 These Togetherfarm Blocks are an amazing garden design concept, created entirely from recycled plastic.